How Do I Add Tickets To My Event? 1. Click on the Sign Up button. 2. 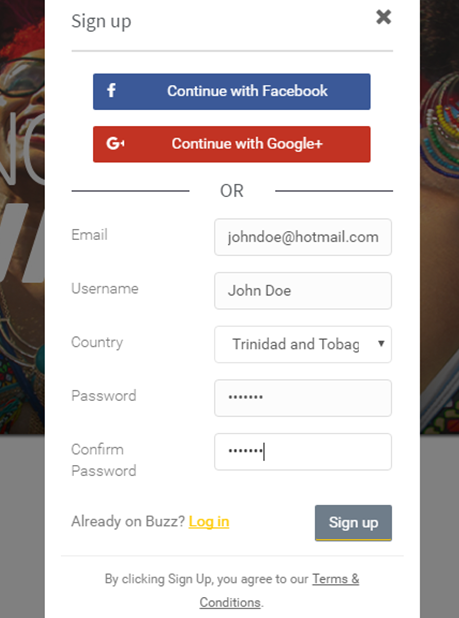 You can choose to either Continue with Facebook or Google+, or fill out the required information and click Sign up. 3. You will be prompted to check your email to confirm. 4. Locate your Confirmation Email and click on the yellow Confirm Email button. 5. 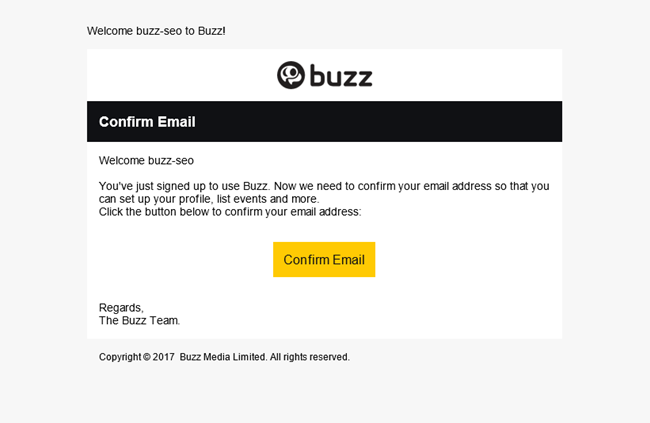 On the Buzz website you will see a message saying the account was confirmed. 6. Click the Start Exploring Events button.